The staff was excellent. Although I didn't get their message until after because of my cell service, they were prompt and friendly. I went to reception and because it was getting dark, they gave me a lift - so appreciated! It was dark with no streetlights and in a foreign place. That was just so lovely. Also, there was an extra private room because it's off season so I got a free upgrade! Hostel with a large kitchen and dining area. 2 stoves/ovens, 2 refrigerators. Direction of the mini-cottage is good as it is facing the water. Surrounding was quiet and nice and easily accessible. Although Booking.com let me say I arrive between 11pm - 12am but the check in closes @ 11pm...staff came from home and let me in...very nice people!!! Nice big well-stocked kitchen; large bright eating area. Could walk to a bar. We stayed in a cabin for 4 that was roomy and clean and had a wonderful view. This hostel is a perfect location to explore all the sites of Myvtan. It was a nice stop for my road trip. It is a bit expensive for what you get, but still cheaper than hotels in the area. The surroundings are beautiful and there is a lot of things to do in the area - the nature baths are AWESOME and cheaper than the blue lagoon! 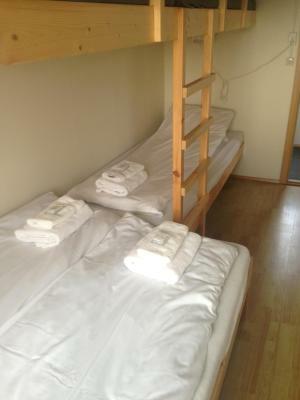 It's OK if you're on a budget, its just a hostel! One of our best sellers in Myvatn! 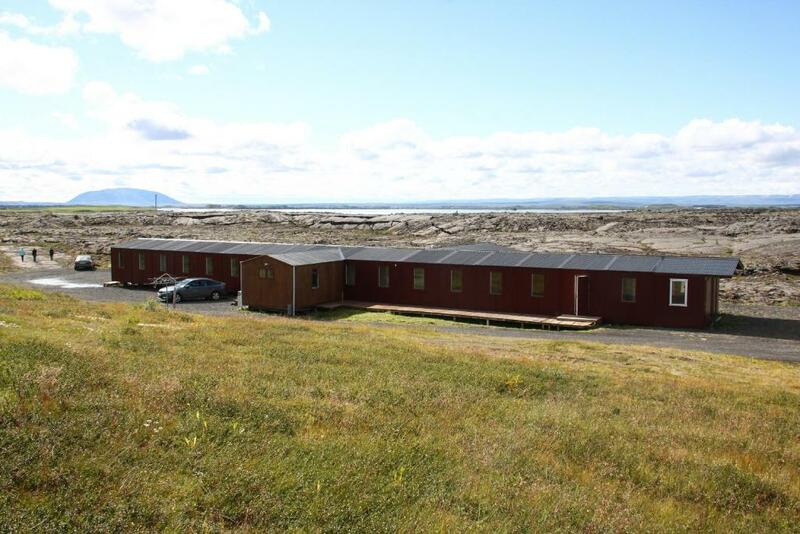 Offering rooms and cottages, Hlíd Hostel is 1,650 feet from Lake Mývatn, in Reykjahlíd. WiFi and parking are free. 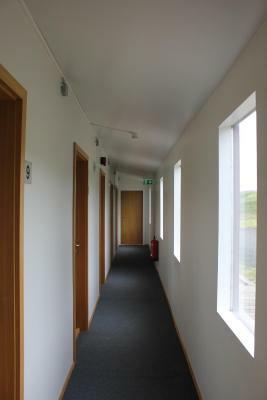 Facilities include a BBQ area, terrace and shared kitchen. 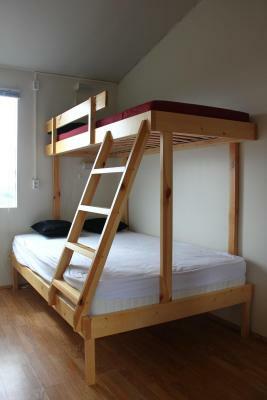 Set in wooden buildings, all accommodations options have access to shared bathrooms and a communal laundry room. 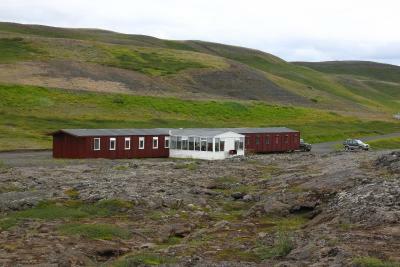 The geothermally heated Mývatn Nature Baths are 3.1 mi away. The guest house is 19 mi from Dettifoss Waterfall. 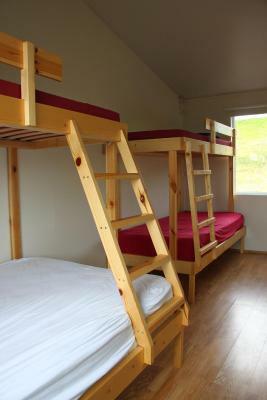 When would you like to stay at Hlíd Hostel? House Rules Hlíd Hostel takes special requests – add in the next step! Hlíd Hostel accepts these cards and reserves the right to temporarily hold an amount prior to arrival. Duvet covers, bed linen and towels are not included. You can rent them on site or bring your own. Sleeping bags are allowed. The address on the site doesn't specify that there is more than one building. If they hadn't picked up me up, I would have been lost in the dark. Not sure I would have found it for hours! More comfortable matras than some other hostels. Facilities are clean and comfortable. The location is great! A bit far from the town, around 15min walking. 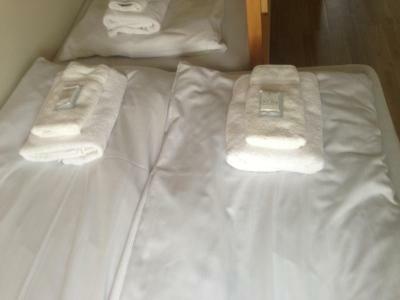 Bed linen needs to be paid separately and it wasn't clean. There are only three showers and two bathrooms for male and two for females. 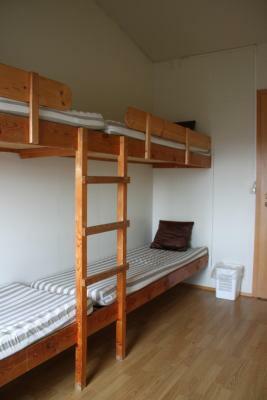 I was alone in the hostel (came off-season) but if it gets full during the summer it could be a problem. - No bedding, you must pay an extra for it... - Beds are very noisy and really small so i put the matress in the floor to sleep well without disturbing others. Great location, great view on the lava crust. They charge extra money for bed sheets. The dorm room was warm. The bathrooms weren't that clean and it was FREEZING at night (October). Like we had the heater on full and it was warm when I went to bed but I kept waking up shivering like the heater wasn't even on. Had my worst sleep of the trip here. Would spend more money to stay somewhere better. The kitchen was huge and well equipped. Was the cheapest place in the area. it was a horrible place. poorly lit, no signs to tell us where to go. the staff (a young girl) was almost rude. the room was not at all inviting facilities were poor. Noisy beds and thin walls. 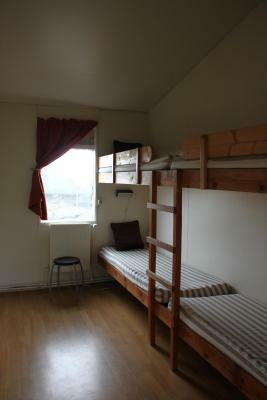 A bit pricey for a hostel, but cheapest accommodation for Myvatn area. Communal shower area with individual stalls. The bed and the corridor is extremly noisy, the bathroom mixed and little. 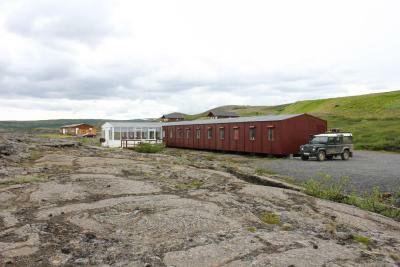 Very equip kitchen & dining area with good view of lava field. Good place for this price around Myvatn lake. Reception is on the campground side, nice people . Laundry services. Common kitchen well furnished. 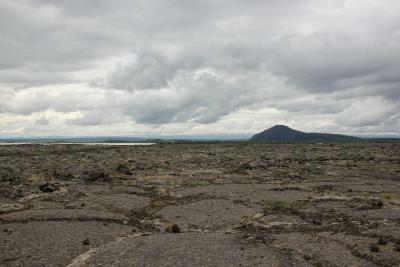 Common area in veranda with view on the lava field.